The first People’s Theatre studio production of 2015 focuses on the true story of German conductor William Furtwängler, as he faces interrogation and de-nazification in post-war Berlin. The maestro finds himself faced with an American army officer determined to uncover evidence that he was not a saviour of Jews, but a willing collaborator with the Nazi regime. Few other musicians are more intertwined in debates around collaboration, passive resistance, and the relationship between art and politics as Furtwängler. Brought up to believe in the supremacy of Teutonic culture and creativity, his leadership of the Berlin Philharmonic throughout the 1930s led the Nazis to adopt him as an ambassador for their values; his recording of Bruckner's Seventh Symphony even accompanied the announcement of Hitler's death on German radio in 1945. Yet throughout the war he’d refused to allow Nazi salutes during performances and made covert efforts to protect Jewish musicians from persecution. 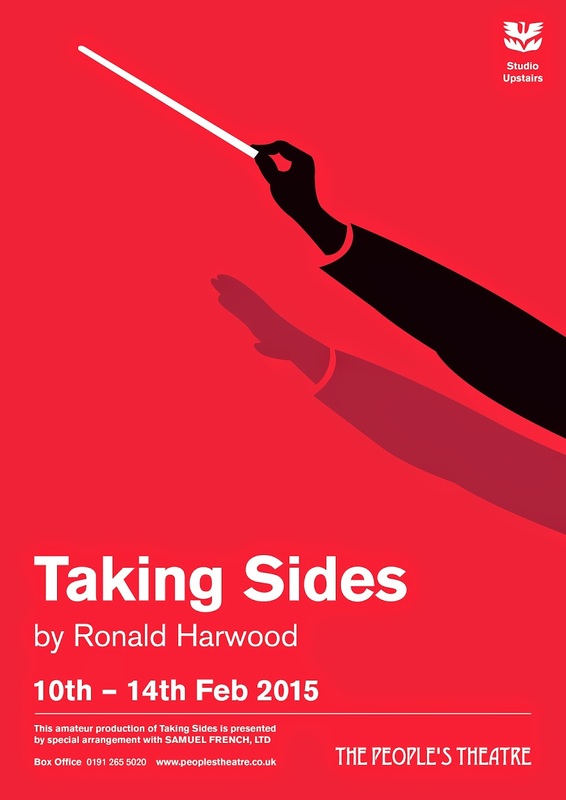 Harwood’s tense, gripping drama explores one of the defining, hideous dilemmas of the twentieth century: in totalitarian states, must artists collaborate and survive, or rebel and risk oblivion? How can music thrive in the midst of one of the most repulsive regimes imaginable? What might you have done? That's the question both implicit and explicit in this uneasy and arresting drama about the role of the artist trying to create beauty in the midst tyranny. This modern classic will be getting a rare outing in Newcastle upon Tyne in the intimate space of their Studio Theatre. Also This Month: The Young People’s Theatre present Scary Play by Judith Johnson. Thursday 26 – Saturday 28 February @ 7.30pm. Tickets £10/6. Kal’s having a sleepover. He tells a story about an old haunted house that just happens to be a few streets away. Perhaps we should all take a look … that is if you’re not chicken? Comedy, suspense and the supernatural combine in this exploration of the hold our imagination has over us. A short play for audiences age 7+.